The Sonic x Hello Kitty Deal Is Back On? 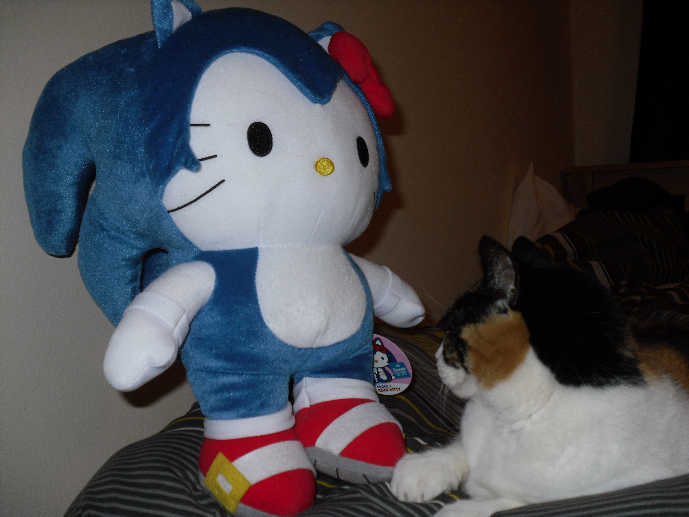 Way back in 2013, Sega of Japan partnered with Sanrio to produce some Sonic x Hello Kitty themed merch, the line promised a range of products, however only a rather large and impressive plush toy was released. Skip ahead to late 2014 and Sega announced that the partnership would continue and there would be a release of products in Europe, the date given for these was ‘soon’. However, as mentioned in my 2015 year review, they didn’t arrive and were presumed cancelled. Well… according to some information revealed today, the deal might be back on! A number of images have been doing the rounds on twitter from a Japanese Sonic fan indicate that not only is the deal coming back, but new products are in stores right now. 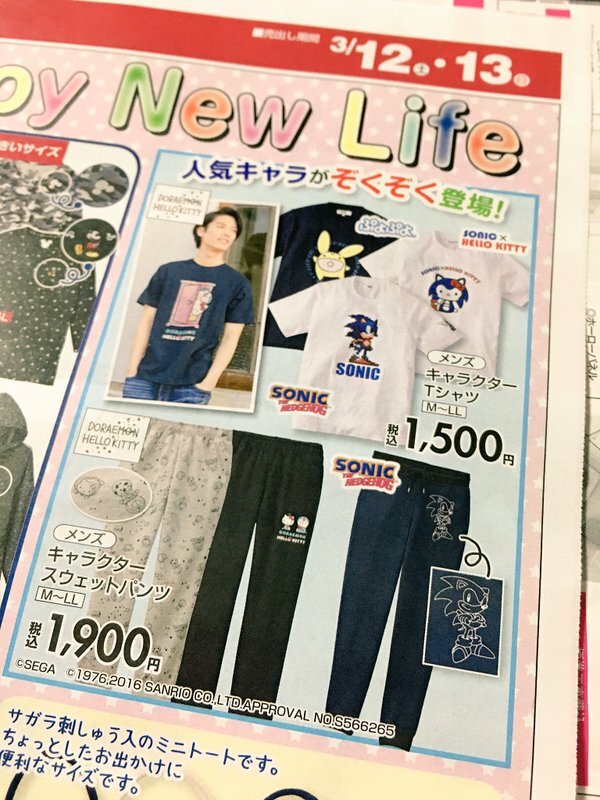 The first image comes from twitter user sssenac who posted an image from a magazine article which shows 25th anniversary merchandise including a Sonic x Hello Kitty T-Shirt. The second comes from another twitter user inazumag11 who actually managed to find the T-Shirt on sale in a store. Other than the plush, there has not been any other Sonic x Hello Kitty themed merchandise produced, for nearly 3 years the deal was presumed over, however these images would indicate that the deal might not only be back on, but products have been made and are out in the wild. At least it’s not My Little Pony! No I just don’t want Sonic involved with MLP, that would just call for more Fan Fiction that we don’t need because there’s too much of it already! Considering Kitty White’s popularity in the franchise Hello Kitty, this is about as awesome as Sonic’s crossover with Vocaloid. That shirt looks like a serious bootleg. The shirt that just says Sonic on it? Yeah. That looks like am extremely lazy ‘design’ for some 25th Anniversary merchandise. I was talking about the Hello Kitty one. It’s terrible. 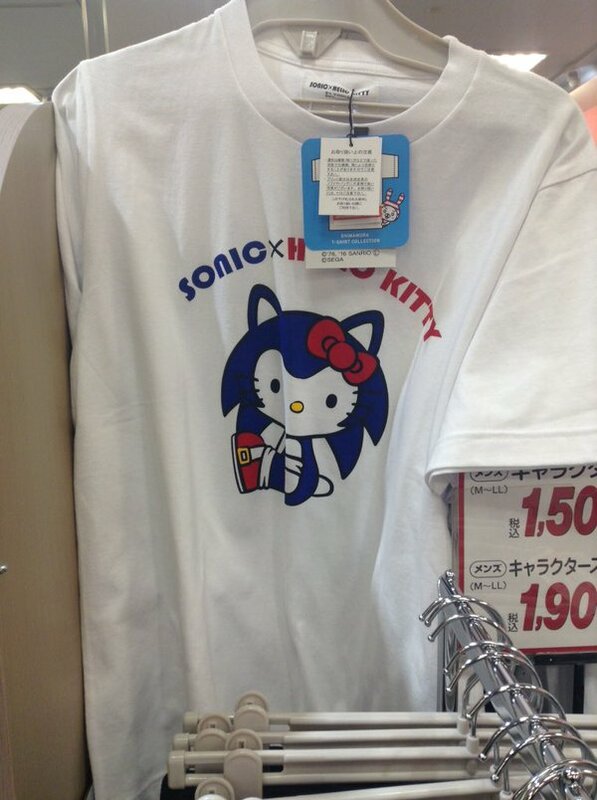 “Sonic X Hello Kitty”? …Really? But are there any Hello Kitty Boom products? I want to see super swole Hello Kitty covered in sports tape and aviator goggles. A www, That shirt is so adorable that I can wear as a Sonic Girl Fan! I totally love it love it love it!